2 Parties You Won’t Want to Miss! 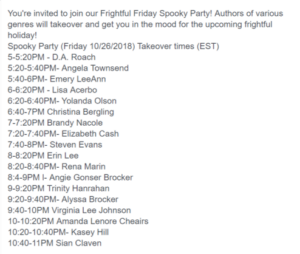 This Friday, spend the evening with some of your favorite horror/paranormal indie authors! The party begins at 5pm EST! 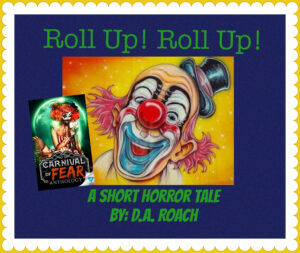 READING * GAMES * GIVEAWAYS * GUEST AUTHORS * FUN!! 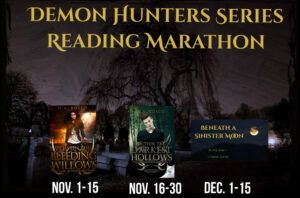 Demon Hunters Series Reading Marathon Starts Nov. 1st! What is a marathon, you ask? A marathon is a read-a-long of an entire series. 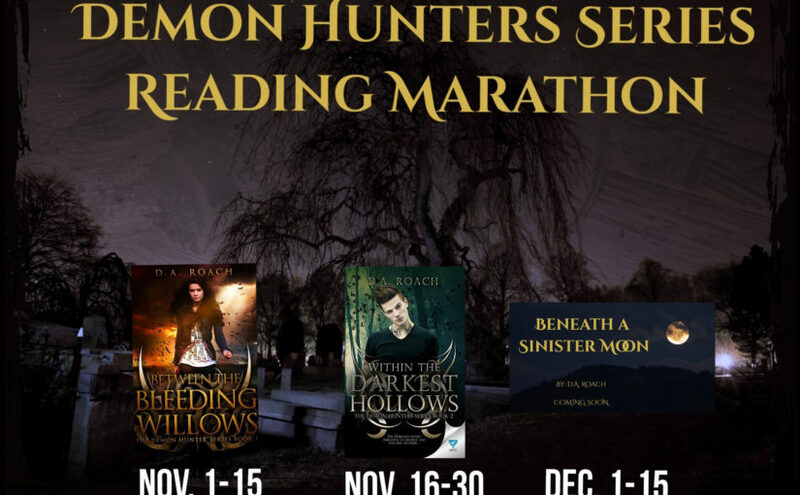 For this marathon, my co-hosts and I have divided my YA Paranormal series into three 2-week legs. Readers will read the assigned chapters and then return to the event page to participate in games, contests, and other fun before continuing on. The main purpose of the event is to read my books. We’ll give you a time frame for reaching Mile Markers (check points) and at those mile markers, we will post a few discussion threads or games that reflect the action, plotline, and themes presented in the chapters read. 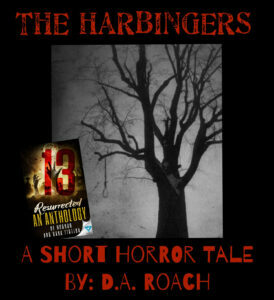 You will also be able to ask me anything about the book and what my thought process was! the finish line and are eligible for the GRAND PRIZE DEMON HUNTER BOX. 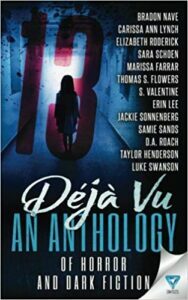 This grand prize is packed with paranormal goodies! The finish line party will take place on Saturday, Dec.15th where we’ll have some closing remarks, more fun and prizes! 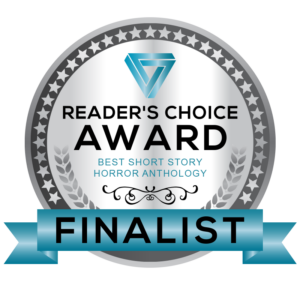 A reading marathon would be nothing special if it didn’t introduce you to other authors and their “trophies.” So, I have invited a few authors to “showcase” their own books. 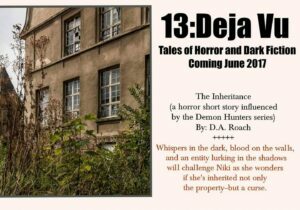 Posted on October 24, 2018 Author Deborah RoachCategories author, author takeover, authors, bestselling author, between the bleeding willows, bleeding willows, Books, bookworms, casper, cassidy, D.A. 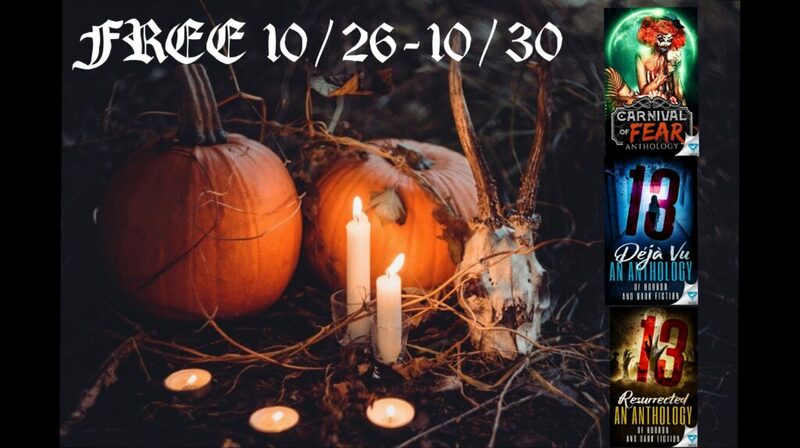 Roach, demon hunter series, demon hunters, demon hunters series, Demons, fiction, horror, indie author, kindle, magic, must read, new book, novel, paranormal, PNR, prizes, reader, readers, series, takeover, tbr, within the darkest hollows, YA author, ya books, ya fiction, ya lit, ya paranormal, Young adultTags facebook parties, giveaways, horror, paranormal, paranormal series, reading marathon, takeoverLeave a comment on 2 Parties You Won’t Want to Miss!